I made a special trip to England last year to walk in the footsteps of Morse. To see Lewis (the cinematography of Oxford being much better than the Morse series) come to an end is frankly the end of an era for me. Thank heavens I have both series on dvd and can walk in both Morse and Lewis and also my own footsteps over and over again. I would love to see Hathaway carry on the series under his own name…. No- I loved Morse, but I think Lewis is even better. What a superb cast. I’m dissapointed that “Lewis” will not be continuing.I shall miss Robbie, James, the entire cast, and the memories of Inspector Morse, dear John Thaw, that embraced “Lewis”. Would really love to have “Hathaway” keep the Oxford series going forward. Have enjoyed and looked forward to Mores and Lewis for so many years. Like everyone else they are almost family. Wait all year to see this show on my local PBS station. I have watched other world class British shows end after a long run and mourn them like a beloved family member. Lewis and Hathaway have hit their stride and should go on for a long time to come. Please ask them to do at leadt a season special so we won’t miss them too badly. Wonderful writing, acting, and location. Such quality. Another loss. What a great series it has been! 33 Morse, 33 Lewis… what a treat!! I hope itv gives us 33 Hathaways with Lewis and Laura as guest appearances in almost every other episode!! Lets have 33ep of Hathaway! YES!!! I’ve watched all Morse, all Lewis,and I still want more! The reason that viewers have not followed Lewis so closely over the last 2 series is because ITV switched the fomat from a full two hour episode and the Sunday night spot to 2 one hour episodes on a midweek. Crazy planning for such a brilliant show. ITV should commission a new series “Hathaway”! Please let’s have 33 Hathaways , or at least a couple to see how it works. Morse was great, Lewis brought a new dimension to a brilliant formula, I’m sure there is milage in Hathaway who to me combines the best of both the previous characters. I will miss Lewis, but I do hope Hathaway continues the tradition. Morse and Lewis were great escapes from the terrible TV shows here in the U.S. There is definitely potential for a Hathaway series. But I wonder if Laurence Fox would do it. I was hoping that Laurence Fox would commence with a new series entitled “Hathaway.” The whole series was just that bit different to the usual detective series, especially being set in cultural Oxford. 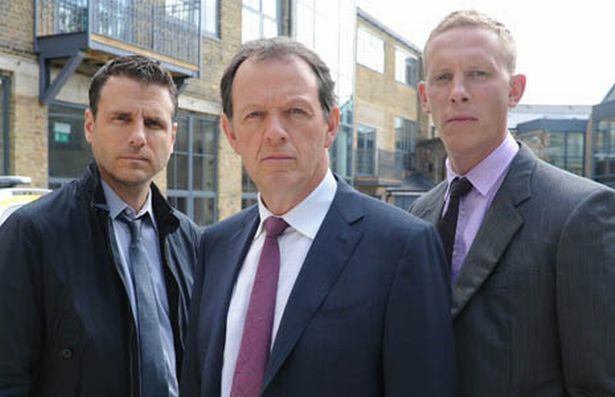 I like the Inspector Lewis series much more than the Inspector Morse stories. I would wish the would continue for several more years!! I’ve seen all of Morse and all (to date) of Lewis. I’ve enjoyed both but like Lewis a bit more, it’s well written and a little less “dark” in my opinion. I’m very sorry to hear it’s come to an end.